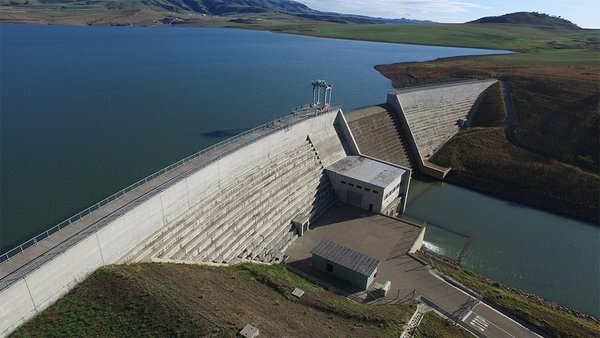 Cape Town – Eskom’s board is facing calls to appear before Parliament with documents relating to the Ingula pumped storage scheme, which has allegedly seen costs spiral from R8.9bn to R36bn. On July 27, President Jacob Zuma unveiled the first of four turbines at Ingula, which is on the border of KwaZulu-Natal and the Free State. A report broadcast on Carte Blanche on Sunday claims that Zuma’s appearance was a rushed pre-elections media stunt. 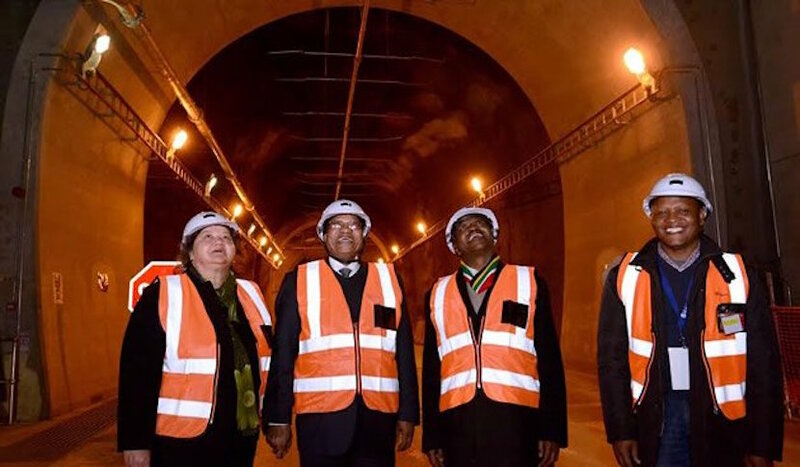 President Jacob Zuma at Commercialisation of Units at Ingula Pumped Storage Scheme, Ladysmith, KZN. The pumped-storage hydroelectric plant uses water from an upper dam, which is released and passes through four 333 MW turbines before ending up in the lower dam during peak hours. The water is then pumped back up to the top to dam in low-peak hours. However, the turbines are massively over budget and delayed, with all four turbines having originally meant to go live in 2013. The earliest they will now all be commercially operational is in 2017. Carte Blanche interviewed an insider and a mining expert who worked at Ingula, who said the underground contractor was paid billions more than they should have in bonuses, advances and flimsy compensation events, even as the contractors skimped on safety. The contractor – CMI Joint Venture – comprises of two Italian companies, which allegedly have a track record of over-runs and corruption. The third company is PG Mavundla Engineers, which is owned by Philani Mavundla, a friend of Zuma that offered to pay for Nkandla, according to Carte Blanche. Democratic Alliance (DA) MP Natasha Mazzone told Fin24 on Monday that she will write to the chairperson of the Portfolio Committee for Public Enterprises to ask for Eskom’s board to be summoned to the committee. “Eskom must explain what the situation is at Ingula,” she said. “We will call on Eskom to make their procurement policy and all tender policies public with regard to Ingula. If the request fails, Mazzone will send a Promotion of Access to Information Act request to Eskom, with stringent deadlines to meet. Mazzone said the alleged mismanagement of Eskom’ new build programme – which includes Medupi, Kusile and Ingula – is the reason why she has asked Public Enterprises Minister Lynne Brown on several occasions to release stakeholder contracts and to ensure all procurement and tender policies are made public. “Every time she agrees to do so, but she never does,” said Mazzone, citing Medupi’s alleged irregular tender with Hitachi. The Organisation Undoing Tax Abuse (Outa), which has its own whistle-blower input with regards to Ingula, said on Monday that it is time the government institutes a full independent inquiry into the financial management and auditing controls throughout Eskom. Eskom spokesperson Khulu Phasiwe told Fin24 on Monday that all units at Ingula will be in commercial operation within the second half of 2017. “All payments made to contractors were done in accordance with the approved contract and in line with Eskom’s procurement policies and procedures,” he said. “The history of these contractors was considered, via Business Intelligence Reports, before contracts were awarded.“ Unit 3 repairs are underway, with the unit still on track for commercial operation as planned. Discussions with the insurer are ongoing, and the final costs have not been determined yet.” Phasiwe said in their programme last night, Carte Blanche “started off by casting aspersions on Eskom’s assertion that Ingula was producing over 900MW on 27 July 2016 – the day of Unit 4’s official launch.“ Carte Blanche said this was impossible as that unit only generates 333MW. In a desperate effort to show ‘Eskom’s lies’, Carte Blanche forgot to note that Ingula’s two other units, namely Unit 1 and Unit 2, were – and still are – being synchronised and were producing 333MW each to the grid, even though they have not come into commercial operation yet.” Phasiwe lambasted the programme for not allowing Eskom time to give its side of the story, with the MNet investigative programme highlighting that Eskom had missed its deadlines to respond and offered them an interview on Monday. However, Phasiwe told Fin24 that there is “no point” to have the interview now.
.@Eskom_SA The media often gives the impression that Ingula is generating new capacity whilst it is really a pumped storage scheme. An insider told Carte Blanche that the South African people have been let down by Eskom in an epic way. “The money for the project was borrowed money and must be paid back,” he said. “It will take years to recover from this level of incompetence and waste.” Six people died and seven people were injured in 2013 when a platform in the incline high-pressure shaft failed. Eskom and the contractor blamed the foreman who died in the accident, but a report into the incident has not been released to the public, Carte Blanche explained. It said CMI Joint Venture claimed about R1bn in compensation for an accident that some experts claim was their fault. Mike Hall, a mining expert who was the underground project manager at Ingula from 2009 to 2012, told Carte Blanche that he was “appalled that the contractor was not adhering to the mine’s health and safety” regulations. Peter Bailey, chairperson of health and safety at the National Union of Mineworkers, told Carte Blanche: “In our preliminary investigation that we’ve done, we found that negligence was the order of the day there. After the Ingula story is it likely that Eskom has the ability to self-correct a practice that is its modus operandi? Can SA afford it? “If Eskom has paid this amount of money, this thing now goes much broader than just a labour relations issue,” he said. “No wonder we have had these massive spikes in electricity prices. “Society has got to make a noise. They don’t care about their expenditure,” he said, calling for the replacement of Eskom’s executive and board.